On September 28, 2018, a federal court issued a preliminary injunction against an Arizona anti-boycott law. Like many states, Arizona passed a law targeting supporters of Boycotts, Divestment, and Sanctions (BDS) for Palestinian human rights. The law denies state contracts to parties who boycott Israel. The challenge was brought by the American Civil Liberties Union (ACLU) on behalf of Mikkel Jordahl. Mr. Jorhdalh is attorney who frequently contracted with his county to provide legal assistance incarcerated individuals. He is supporter of the Evangelical Lutheran Church in America’s “Peace Not Walls” campaign, which calls for the boycott of goods made in Israeli settlements. He is also is a “non-Jewish member of Jewish Voice for Peace,” which supports BDS. In order to continue his contracts with the county, Jordahl was asked to affirm that he was not currently boycotting Israel or its settlements. As Jorhdalh wished for his law firm, of which he was the sole proprietor, to boycott settlement products he declined. In order for a preliminary injunction to be granted, a plaintiff must show that their case is likely to prevail on the merits and that they will suffer irreparable harm if it is not granted. A deprivation of First Amendment rights is considered a irreparable harm. Judge Diane J. Humetewa found that the First Amendment challenge to the anti-boycott would most likely prevail. This is the second legal challenge to an anti-BDS law. A challenge to a similar law in Kansas also resulted in a federal district court blocking its enforcement. However, the Kansas state legislature amended the law to no longer applied to individuals, thus rendering the challenge moot. 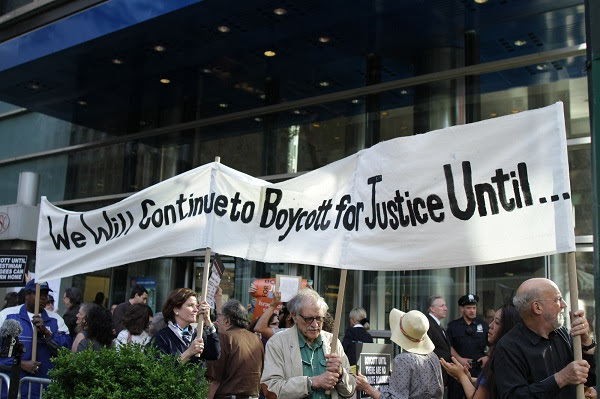 Defending Rights & DIssent has vigorously opposed anti-BDS since 2014, submitting testimony to multiple legislatures that the bills are unconstitutional. Both of these preliminary injunctions vindicate our arguments.